This is a pivotal time to reverse these negative trends. With its population set to double by 2050, Africa has an increasingly narrow window of opportunity to harness a potential ‘demographic dividend.’ We need a step change in investments of aid, private flows and domestic resources in the education, employment and empowerment of Africa’s youth. This year’s 2017 DATA Report shows that across aid, domestic revenues, and FDI combined, resources to support African countries’ development have dropped by 22% since 2012. Meanwhile, Africa’s population has increased by 14%. Global ODA reached an all-time high of $140.1 billion in 2016 – a 7.4% increase from 2015 in real terms. At the same time, aid is not being allocated to the countries where it is needed most. The share of aid to the poorest countries has continued to decline, from 32% of all aid going to least developed countries in 2013 to 28% in 2016, and the share of aid to Africa declined from 33% in 2015 to 32% in 2016. The fall in commodity prices after 2013 resulted in a devastating 23.6% decrease (in current prices) in total domestic revenues in Africa between 2012 and 2015. Most African countries are also falling short on their commitments to invest their own resources in key areas such as health, education and agriculture, which are critical in the fight against extreme poverty. For every dollar of global FDI in 2016, just three cents went to Africa. Inflows to the continent have been volatile and unevenly distributed. 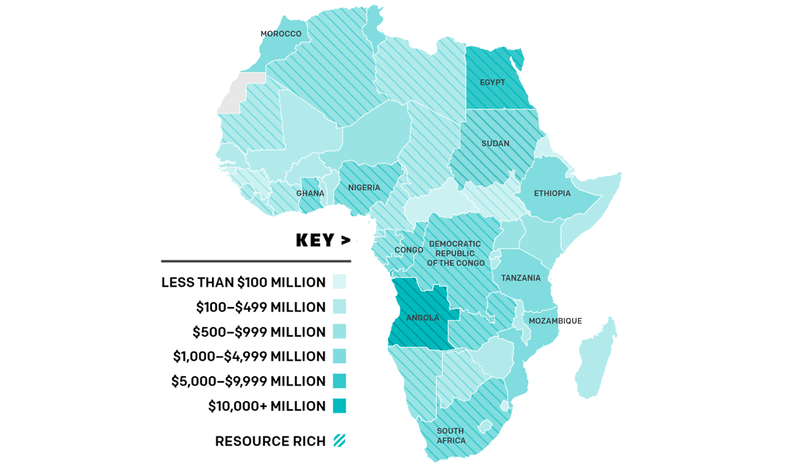 Except for a few mostly resource-rich, countries, such as Angola, the vast majority of LDCs and fragile states struggle to attract investment. Just six countries—of which five are resource-rich—accounted for 75% of FDI inflows into all 42 African LDCs and/or fragile states in 2016.